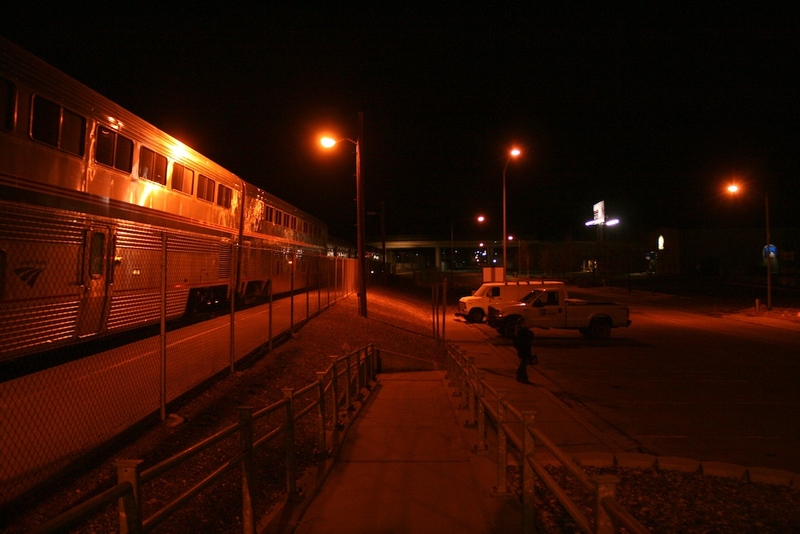 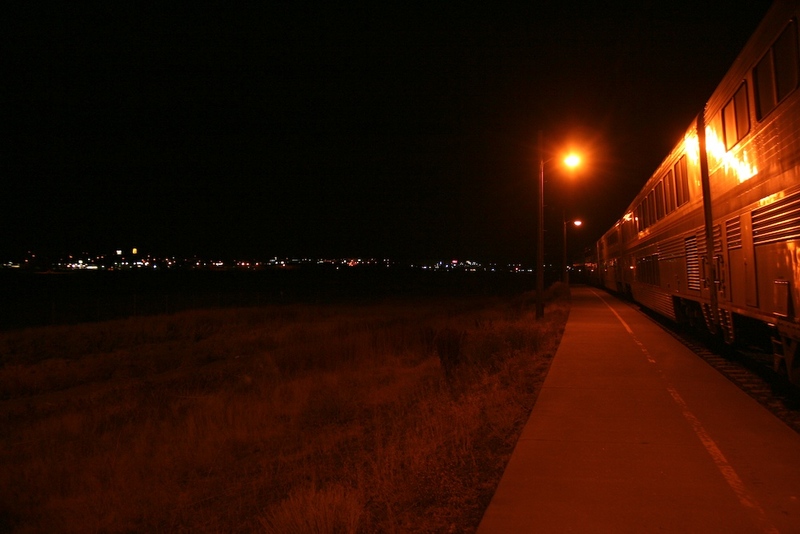 Elko, NV is an intermediate stop on the California Zephyr in the eastern Great Basin of Nevada. 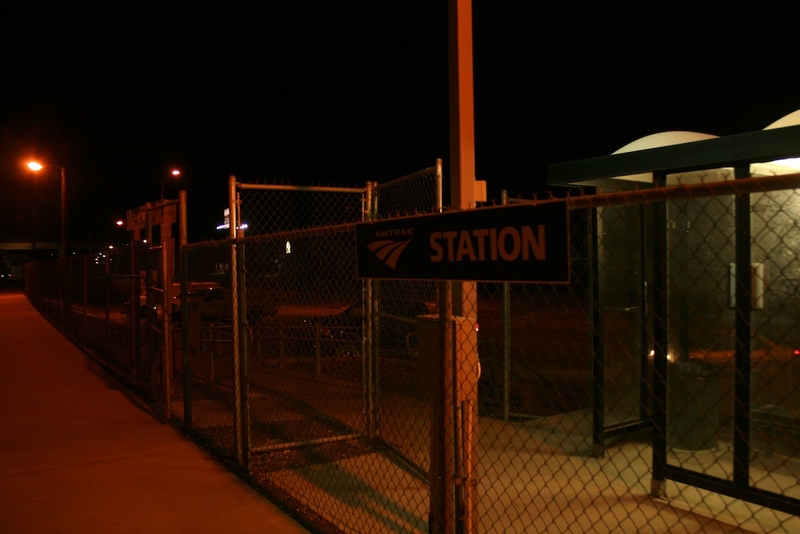 The stop is located on a railway that is two tracks here and the station has two simple concrete side platforms with just a yellow line, one for each direction of service. 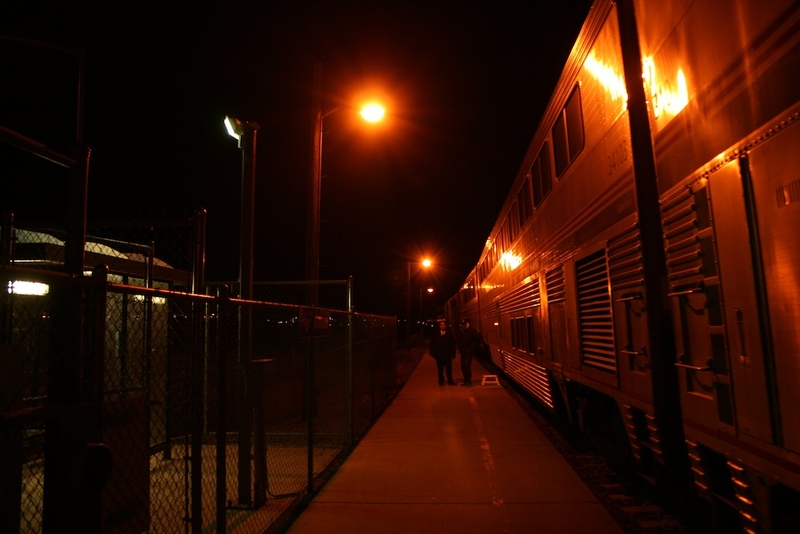 These platforms each have simple lampposts hanging from wooden telephone poles and chain link fences. 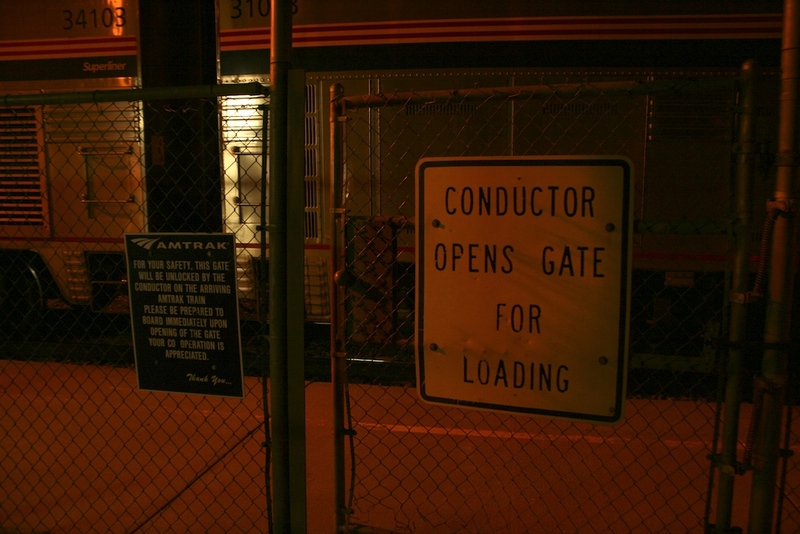 To access each platform there is a gate along each with a sign on it saying the Conductor will unlock the gate for loading as soon as the train arrives in the station. 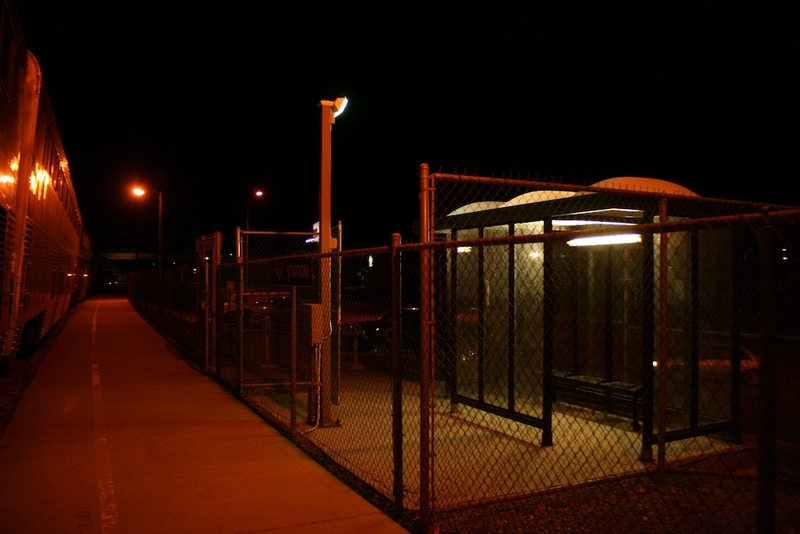 Just beyond this gate each platform has a simple bus shelter with a white domed roof and bench beneath it. 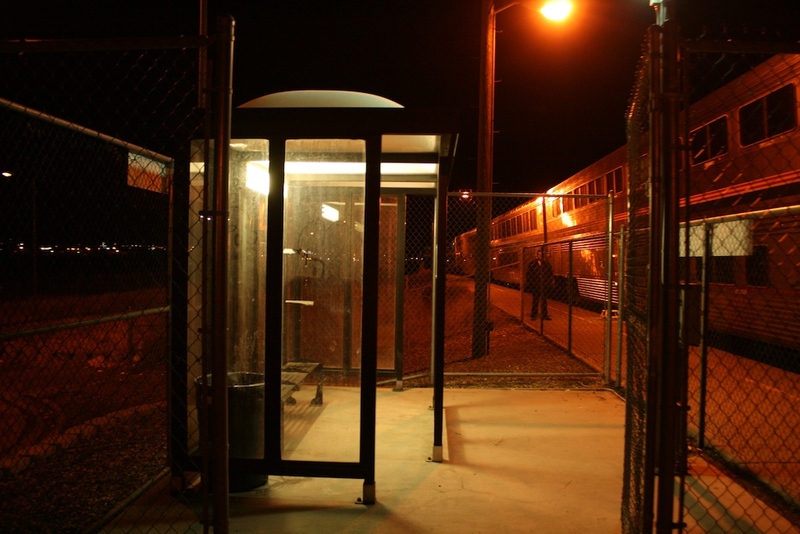 A ramp then leads down to a nearby street. 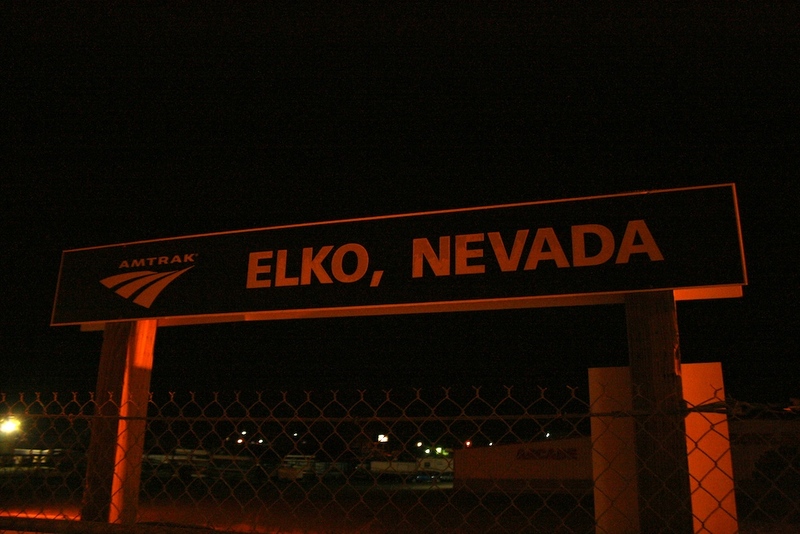 Along each platform is a simple all capital letters Elko, Nevada sign. 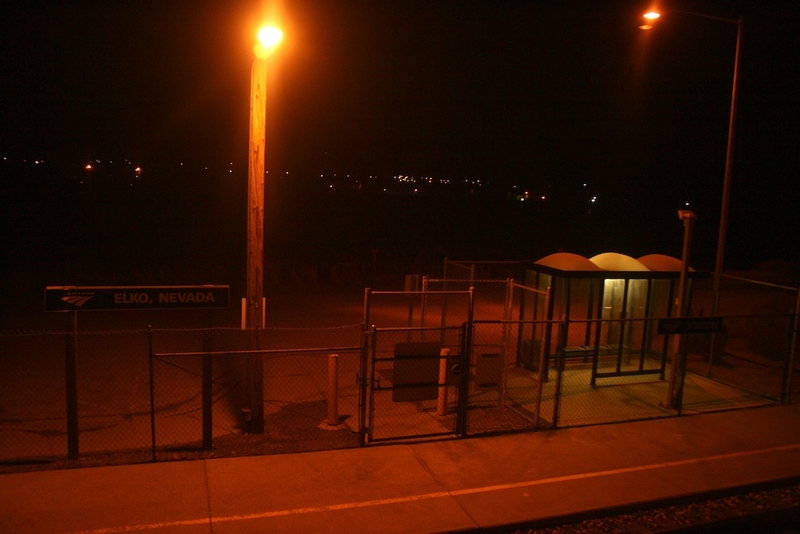 These platforms are each along different nearby roads and getting between them according to Google Maps looks rather complicated. 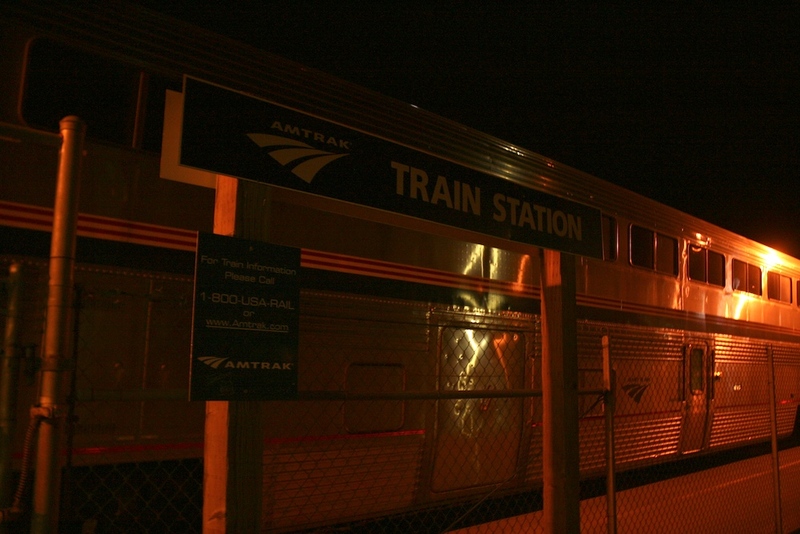 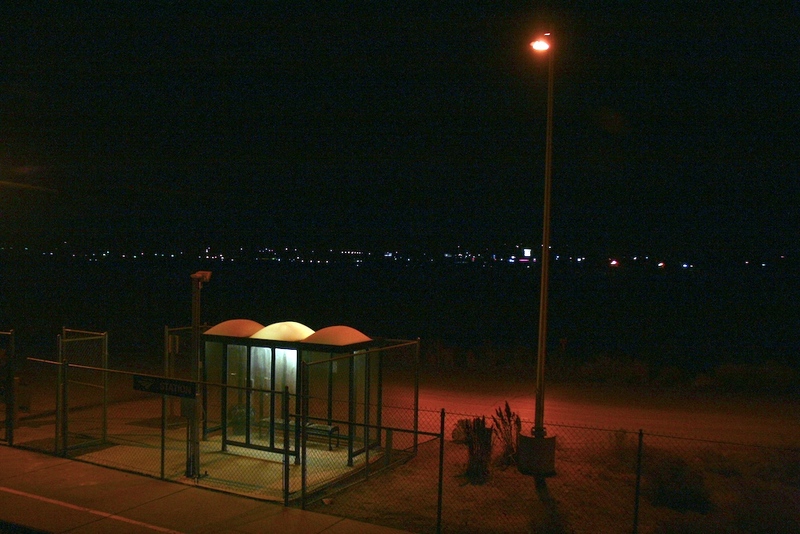 If the westbound Zephyr is running on time it can easily arrive 20 minutes early into this station, which is how I got my photos awaking at it and looking at my watch.